What Are the Benefits of Bitter Melon Tea? The immune system is responsible for a complex set of processes designed to protect the body from disease. At times, the immune system can become overactive and actually contribute to negative health outcomes. Ginger has been found in the scientific research to help balance the immune system to restore it to proper functioning. Ginger has also been found to enhance the protective functions of the immune system. You should seek the advice of a medical professional before you try to treat any medical condition with ginger. Ginger shows evidence as a treatment for asthma. 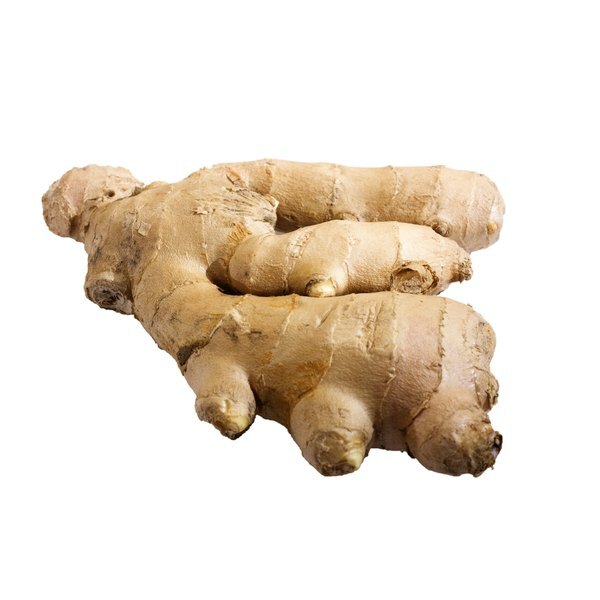 This is because ginger has been found to suppress the Th2-mediated immune response, according to a study published in December 2008 in “International Immunopharmacology.” The Th2 pathway refers to the immune system’s attack against foreign invaders. However, an overactive Th2 response is what leads to conditions like asthma. Mice that were injected in the abdomen with ginger extract in a water solution had reduced airway inflammation accompanied by a reduced Th2 response. Therefore, there is evidence ginger can help reduce asthma by mediating an overactive immune system. Ginger has also been found to be an antioxidant, according to an article published in 2008 in “BMC Complementary and Alternative Medicine.” Antioxidants are compounds that have the ability to scavenge free radicals that can cause damage and even death to various cells of the body. Free radicals are natural byproducts of cellular metabolism. One type of free radical is a reactive oxygen species that is formed as a result of the metabolism of oxygen. They are highly reactive and unstable and therefore pose a threat to the body. According to the researchers, ginger has the ability to prevent these byproducts of cellular metabolism from damaging cells. Ginger has been found to activate T-cells, according to the 2008 “BMC Complementary and Alternative Medicine” article. T-cells are an important part of the immune system. They are a group of white blood cells capable of destroying cells infected by virus as well as tumor cells. Therefore, ginger supports the body’s natural defense against disease. Ginger has been shown in the scientific research to protect against the harmful effects of xenobiotics in rats, according to a study published in March 2010 in the “International Journal of Nutrition and Metabolism.” Xenobiotics are foreign substances to the body that are neither a part of the normal diet nor are they produced by the body. For example, prescription antibiotics would be considered a xenobiotic. In the study, ginger was found to help the body eliminate xenobiotics identified as cancer-causing agents. Therefore, there is some evidence that ginger may help protect against cancer through this type of detoxification. Based in Southern California, Danielle Hall has been researching and writing in the area of health behaviors since 2007. Her area of expertise is health disparity reduction through behavioral change. Hall holds a Master of Science in psychology and a Ph.D. in psychology from Walden University. What Are the Benefits of Goldenseal Tea?